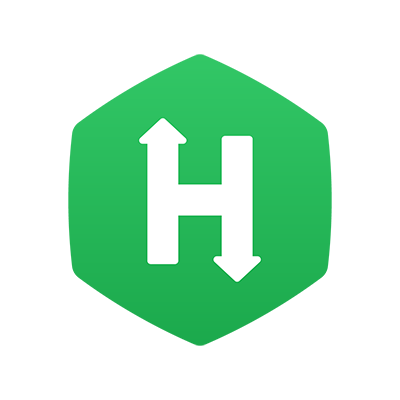 HackerRank for Work allows you to evaluate Front-end, Back-end, and Full-stack developers through Role-based assessments. The platform currently supports questions for Angular, React.JS, Node.js, Django, Ruby on Rails and Java. While the previous environment supported tests for screening candidates on their core computer science skills, this environment enables you to evaluate candidates on project-based real-world problems. When hiring experienced candidates, companies often want to test their knowledge on frameworks and skills in building real applications. These skills can now be assessed through our role-based tests. Role-based environment facilitates the hiring of developers who are familiar with each layer of software technology and are adept at front-end programming, back-end programming, and databases. Front-end development comprises the user-facing code for websites or apps and the architecture to support an immersive user experience. Back-end development comprises the data access layer of the software; the software technology built to make server, database, and application communicate with each other. The Role-based testing environment supports automatic scoring based on the number of unit test cases passed. It also supports any custom scoring method defined by the question setter. Candidate submission can be viewed in the Reports section. The Role-based testing environment can run any stack that is supported on Ubuntu. This allows the question setter to upload a project directory and present candidates with a project initialized in the online IDE. Currently, our system supports Role-based questions for front-end, back-end, and full-stack roles. The evaluation of front-end, back-end, and full-stack questions is done by using J-unit test cases or custom scoring method. Both of these methods evaluate the candidates automatically. This allows simultaneous evaluation of multiple candidates. Hence, evaluation is both cost-effective and time-efficient. Prior to the launch of our online IDE, candidates would have to understand the question setter's intent and locally set up a coding environment before getting started with the actual task. However, with the introduction of our new web-based IDE, the coding environment is pre-setup which can be used readily by the candidates to solve the task. Our IDE allows candidates to code, create and move folders and files, and run project type problems with access to a terminal. Refer to the Taking Front-end, Back-end, Full-Stack Developer assessments topic to know how Candidates can use the IDE in Tests. The evaluation of role-based questions is done objectively by using J-unit testing or custom scoring, unlike subjective tests that are evaluated manually. This ensures a faster and more objective evaluation. The main purpose for having different environments is to provide stable and independent environments for all. There are companies which might have even 10 or more such environments with a specific purpose for each like - functional testing, load testing etc.